Richard Gere presides over the opening of the 34th edition of Miami Dade College’s acclaimed Miami Film Festival. Taking place from March 3 – 12, the festival kicks off with an Opening Night Gala screening of Richard Gere’s new film, Norman: The Moderate Rise and Tragic Fall of a New York Fixer, directed by two-time Oscar-nominated Israeli filmmaker Joseph Cedar. 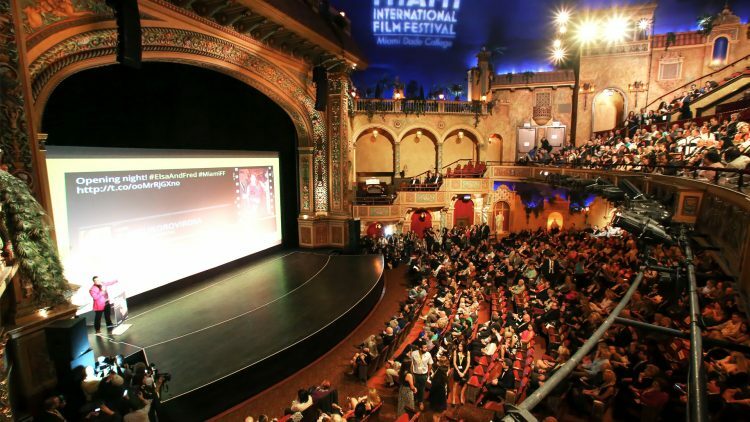 The screening is followed by an opening night party at Miami’s Historic Alfred I. Dupont Building. Among the 131 films presented at the 2017 festival, will be the world premiere of the Emilio Estefan produced A Change of Heart, filmed in Miami and starring Gloria Estefan, Aimee Teegarden, Virginia Madsen, Jim Belushi and William Levy, directed by High School Musical’s Kenny Ortega. Miami Film Festival, produced and presented by Miami Dade College has become a major platform for Ibero-American cinema and a way for audiences to encounter new talent from this diverse region. It also consistently delivers noteworthy international and documentary films from all around the world. Additionally, every October, the Festival hosts GEMS, a showcase presentation of the season’s finest new cinematic works. The festival regularly attracts more than 60,000 attendees and more than 400 filmmakers, producers, talent and industry professionals. It is the only major festival housed within a college or university. In addition to a number of juried competitions that award thousands of dollars to winners, the festival provides many educational opportunities to students and the community at large such as, the Google Seminar Series and Cinemaslam, a competition for Miami area film students. The 2017 edition of the festival includes thirty-six films that have been directed or co-directed by women.